T-Man Tattoo Studio is an amazing custom tattoo studio in downtown Studio City, California. 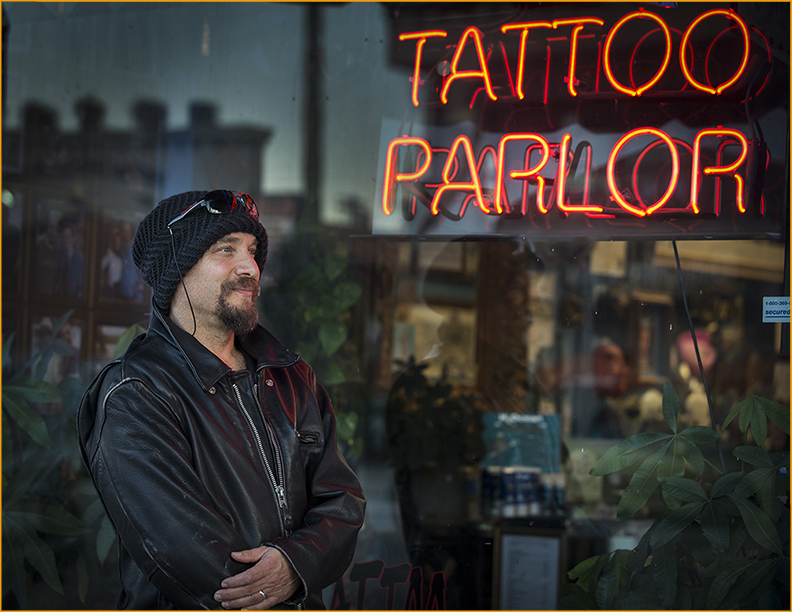 T-Man Tattoo offers scheduled appointments for tattoos, piercings and more. In 1984, traveling in his custom painted leopard coated Cadillac, Howard arrived in Los Angeles to pursue his art career and started designing flyers for hometown’s backyard keg parties as early as he could drink and draw. In the beginning of the 90’s, Howard began work on a series of lithographs reflecting the pop culture of the 20th and 21st centuries. This body of work envelops the full spectrum of characters ranging from Hollywood film legends, horror and sci-fi, comedy, sports, television, political satire, to the most infamous serial killers of our time. Provocative, eye catching, and filled with social content, each litho takes about a year to complete and represents a historical tribute to each respected theme leaving its viewers overwhelmed by the content which often incites a challenging who’s who guessing game.